One of the interesting things about patterns for the 6″ and 4″ looms is that they’re not totally interchangeable. There’s probably a formula, but you’d have to do calculations of some kind. Math is not where my windswept mind likes to settle. Another thing to consider is the size factor. 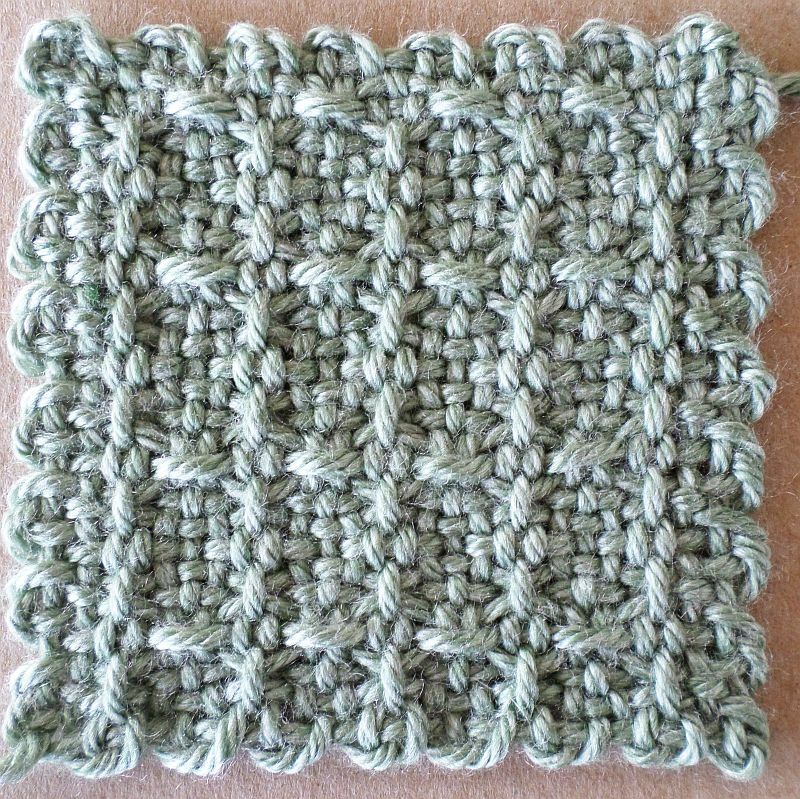 What looks good on a 4″ square may look overly busy or boring on a larger square. 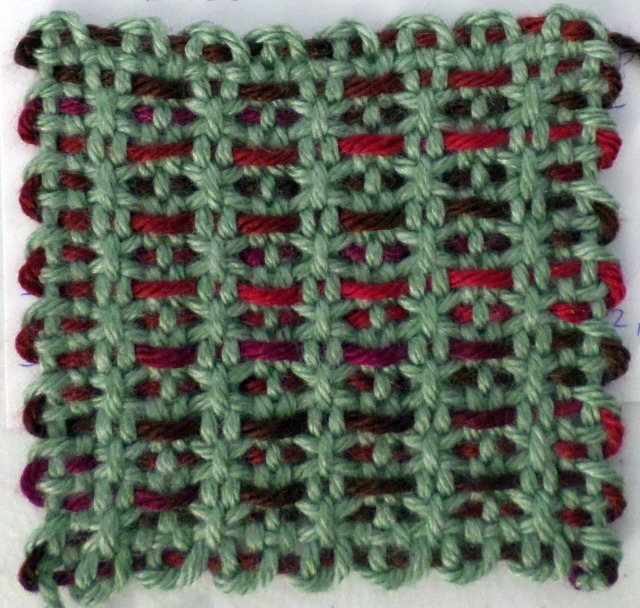 Here is one of my favorite 4″ weaving patterns adapted for the 6″ loom. It’s called “Horizontal Xs (modified for 6″).” I haven’t tested this one yet, but I’m reasonably sure it will produce an interesting all-over texture pattern. 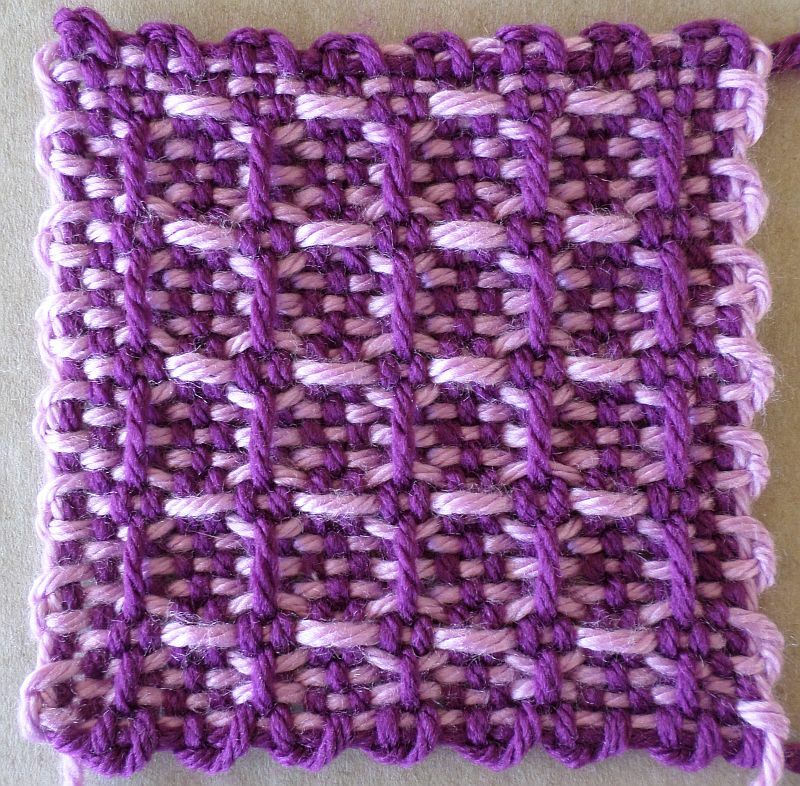 This is the first pattern I ever made up and I absolutely love it. If you ask me what my favorite pattern is, this is the one! I may eventually say the same thing for all the two-layer, two-color warping configurations; I don’t use them often, but it’s useful to know how to do them when you want them. This one is probably my least favorite warping configuration which is interesting to me because it’s the same configuration generally used on a rigid heddle loom—warp one color, weft another. 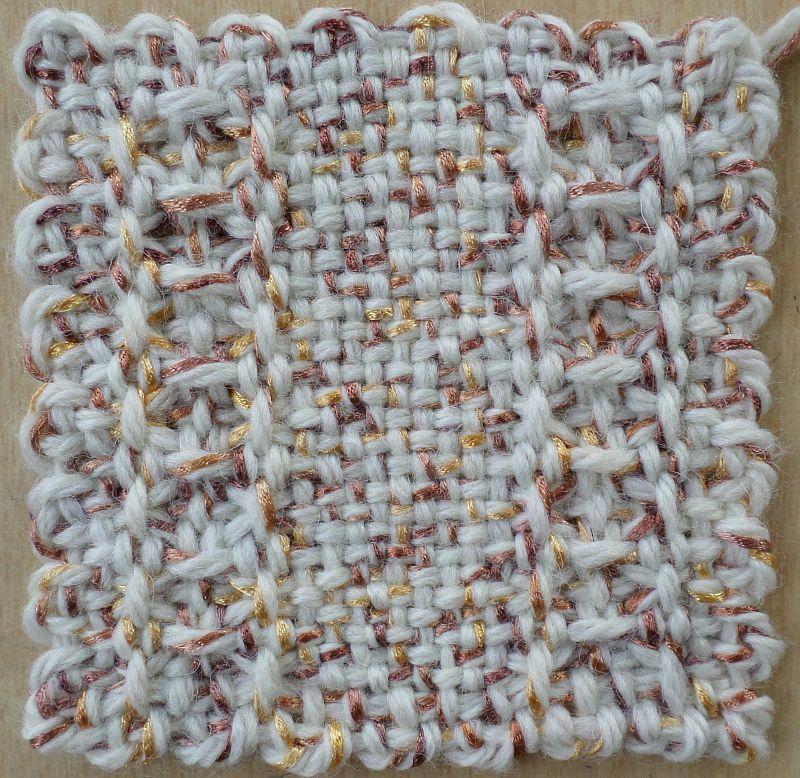 If you want to practice a weaving pattern you have in mind for a rigid heddle project, this pin loom warping configuration should be useful for that—especially if every odd row in your RH project is plain weave. For rhetoric about this pattern, see Ladders 1a and 1b. 18 April 2019 UPDATE—A blog friend informs me that this pattern—perhaps feeling it didn’t get enough individual attention—has made another appearance under a different name a few weeks later. 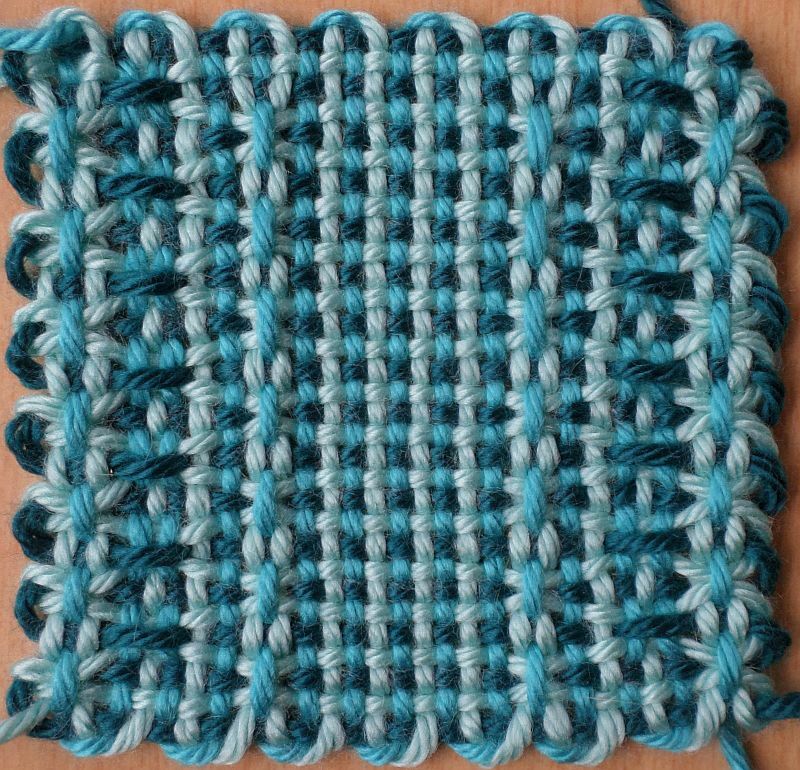 It’s now going by the name of Lattice Borders original, amended. It’s difficult for me to keep from running across the same patterns from time to time—especially the simpler, more elegant ones. 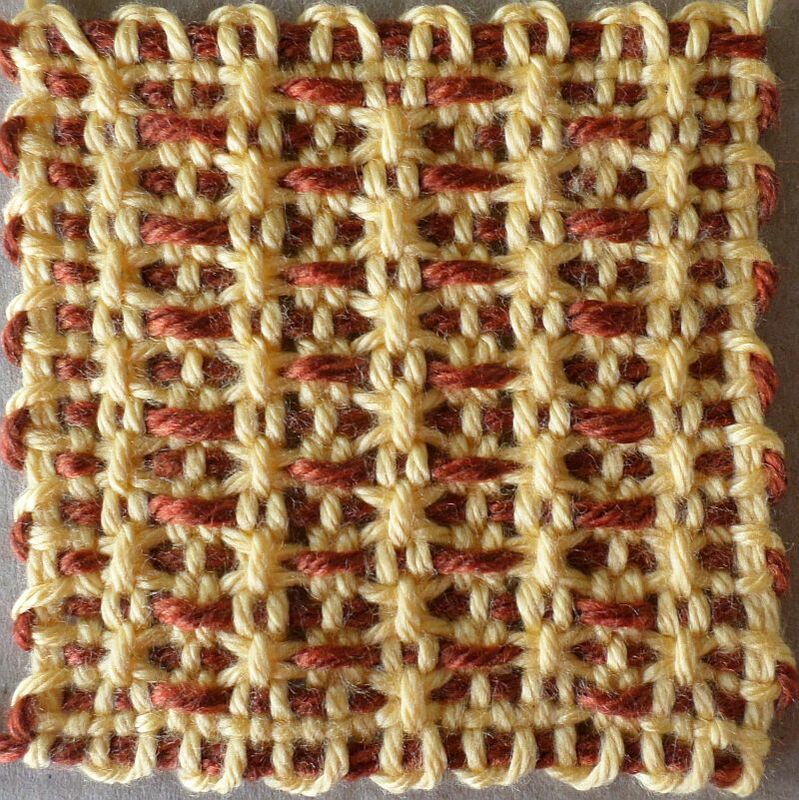 I once invented a pattern I really loved and called it Basketweave, only to discover that it was good old Horizontal Xs. I also called one Withy Fence, but it was Horizontal Xs all along.